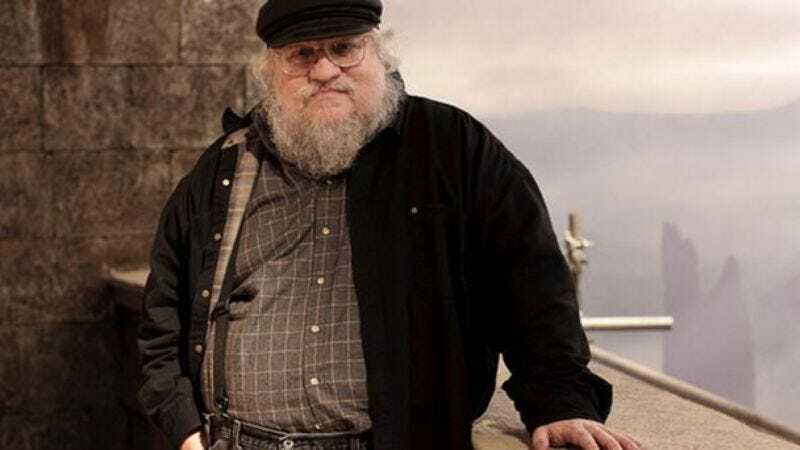 Following rumors that Marvel won’t be attending San Diego Comic-Con, Game Of Thrones author George R.R. Martin has announced he won’t be there either. That’s led some fans to complain that no one good will be at SDCC this year, as DC quietly cries in the corner. While it’s possible the author is just pissed that he won’t get to hang out with Robert Downey Jr. and Chris Evans backstage, Martin’s official explanation is that he’s too busy finally writing more Game Of Thrones books to make any convention appearances. It’s a change of tune for the author, who spent most of last year doing just about everything but working on The Winds Of Winter, the follow-up to 2011’s A Dance With Dragons. I’ve just had to scratch Saratoga off my list of 2015 appearances. For no reason having to do with the con itself. I am sure it will be terrific. It’s just a matter of time. I have too much to do. Too many things on my plate. Son of Kong foremost amongst them. Son Of Kong is Martin’s hilarious nickname for The Winds Of Winter, which will be the sixth of a seven (maybe eight) part series. Martin has already acknowledged the HBO series could overtake his publishing schedule, and with the show’s fifth season premiering in less than a month, he could finally be feeling the stress fans have felt for years. In the post, Martin notes that since SDCC was never on his list of official appearances, it’s not that big of a deal that he isn’t going (even though he’s attended the Game Of Thrones panel every year since 2010). He also adds, “Should I complete and deliver Winds Of Winter before these cons roll round, I reserve the right to change my mind.” Presumably that excuse also holds true if it turns out Downey Jr. and Evans actually are going to Comic-Con. Or if they want to hang out whenever. Call him. He’d rather not be writing this dumb book anyway.